If you’ve hopped over from Linda’s blog you are on the right track…. if you just happened upon my blog be sure to start at the beginning with LLuvia’s blog so you don’t miss a thing! This has got to be one of the best kind of blog hops! All about our creative spaces! This is a group of very talented crafty people from all over the world who can’t wait to share their awesome spaces with you. 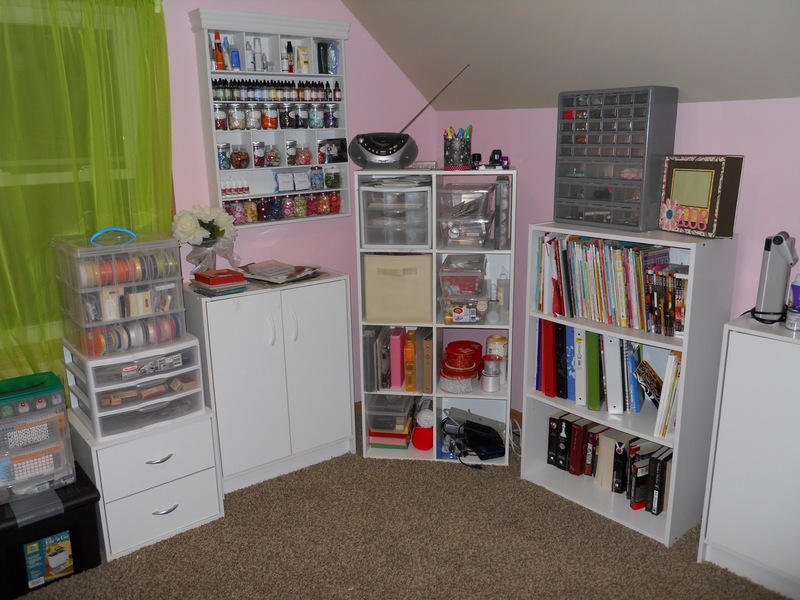 We hope to inspire you with new ideas for your own craftroom/space. This is a no obligation hop, so if you would like to just browse through the space’s, that is totally ok! This hop will be open all weekend long! So no rush! However, for those of you who like freebies there will be “blog candy” if you follow and comment on each posting and leave a comment with “your best organizational tip” your name will entered in a random drawing to win a $25.00 gift card from Michaels!!! Winner will be announced on Tuesday 1/24/12 so please check back to Lluvia’s blog to see if you are the lucky winner of the gift card! And I also have some personal blog candy for you as well….. find more details at the end of my post. Buttons! Buttons! Buttons! from Papertrey Ink, Close To My Heart Reinkers. Embellishment center bought from Michaels. 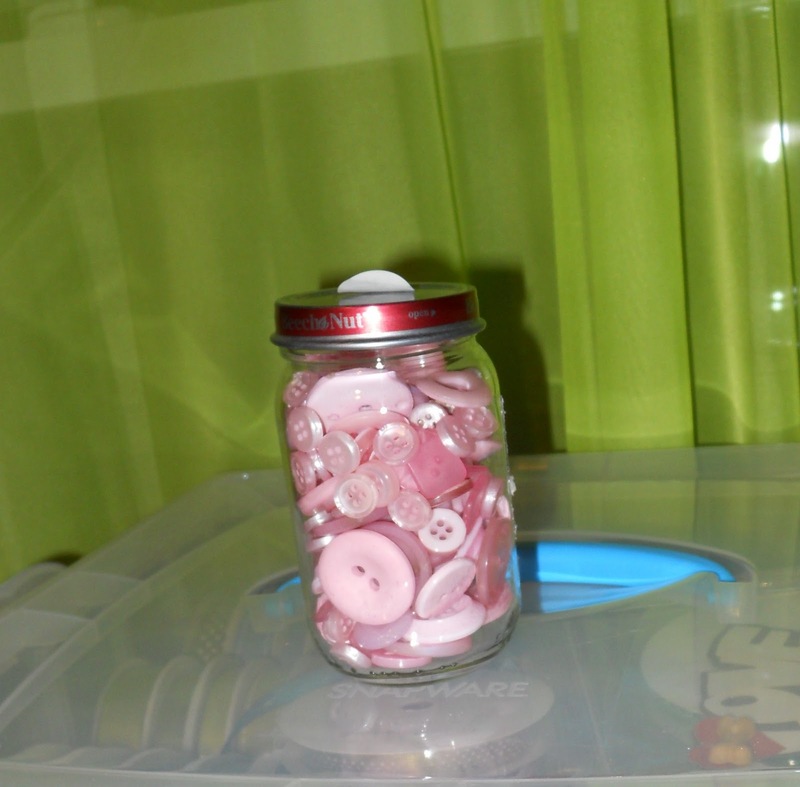 My button jars made from baby food jars. 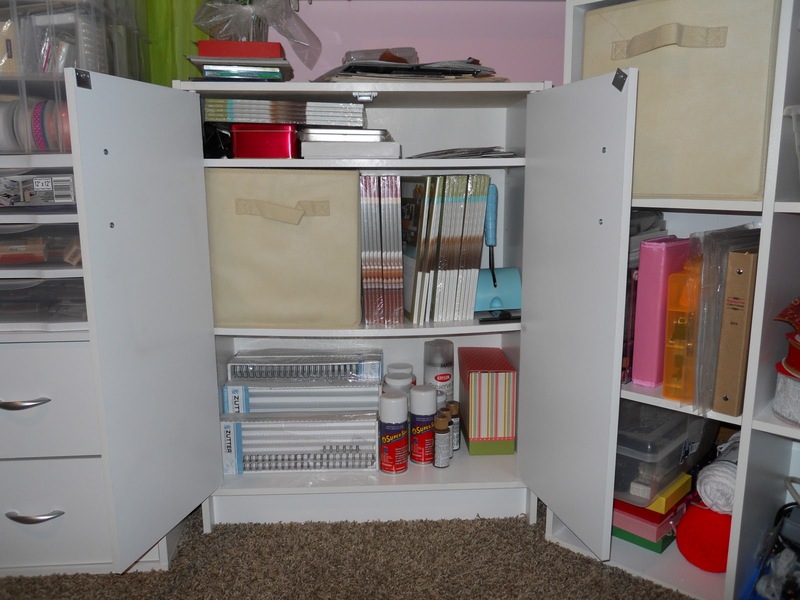 Closet full of misc stuff to make projects out of and then pictures! pictures! pictures! I will post the winner on Monday. Here a list of the entire hop in case you get lost along the way…. Thank you so much for stopping by and feel free to check out my store Paper Creations by Mindy website as well! I just love the openness of your space. 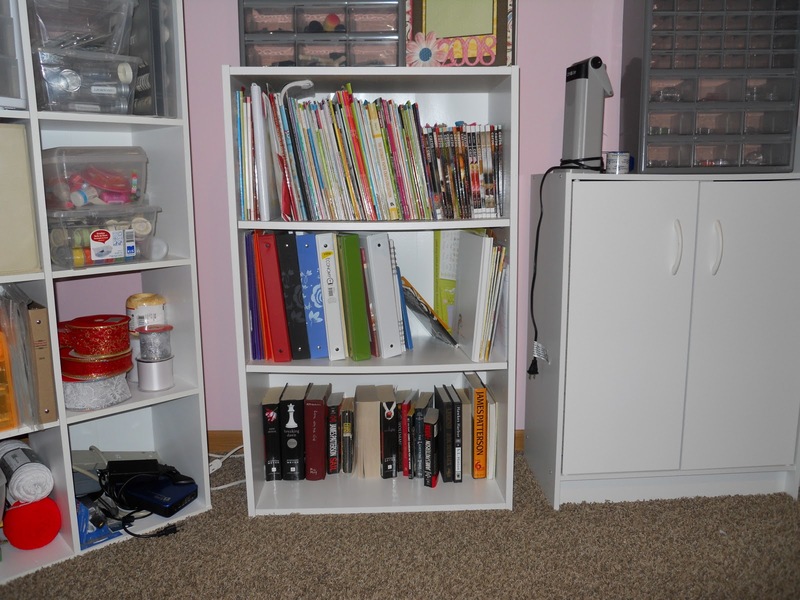 I too love the white storage. 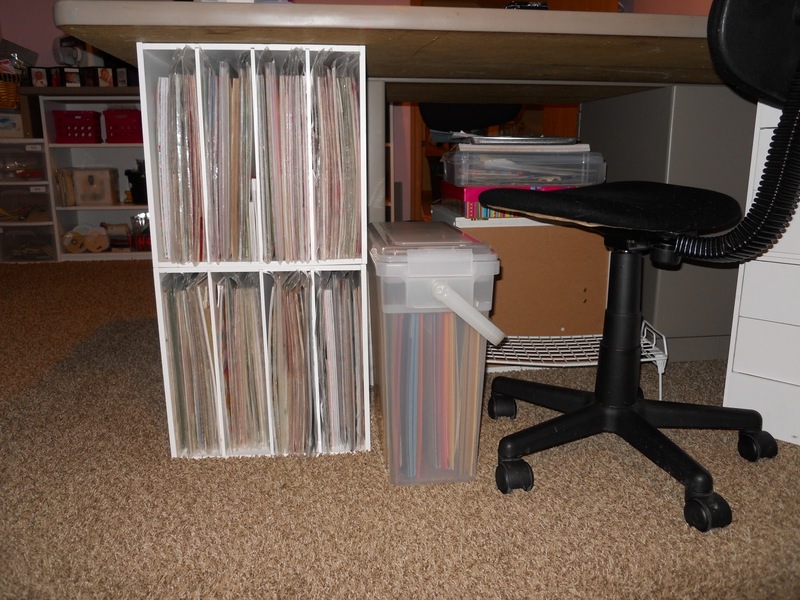 It is hard to pick one thing from your room , but if I did it would have to be how your desk is set up on the cubes. Thanks for sharing. Love it!!! especially the copic markers I deal!!! 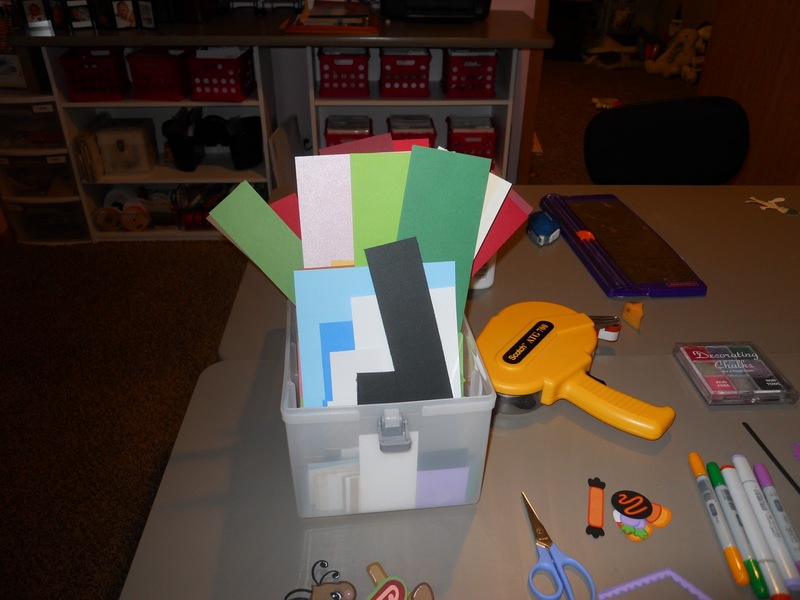 Great use of craft space! I love your room. 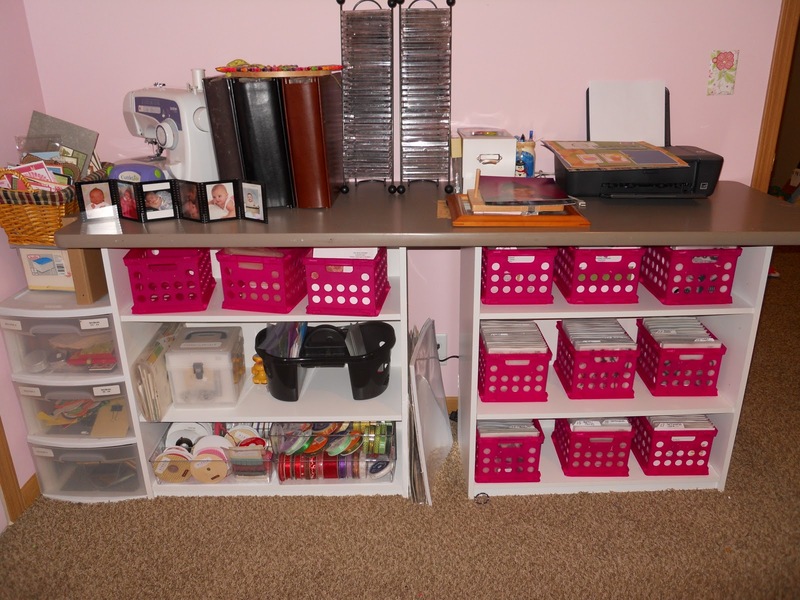 So organized and bright and Cheerie! 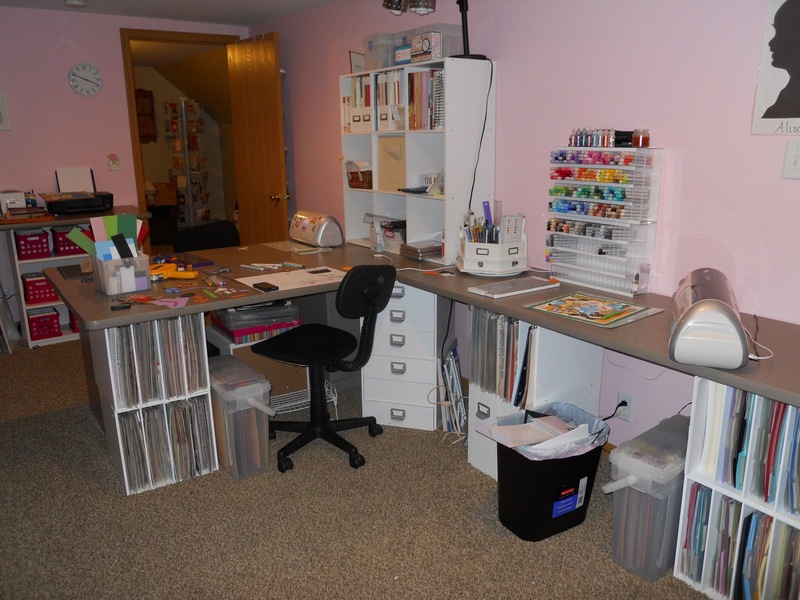 lovely craft space. love your copic marker holders. I'm ur new follower as well as on fb. my organization tip is using the shoe rack for extra storages.. I love the way you store your punches. Great Idea!! I am your newest follower and I hope you can stop by my blog when you get a chance! My fav tip is the one I use putting ALL my “I must use these” embellishments ” hanging in clear page protectors on a rod. What a difference it has made! New follower and glad to be in the hop with you, sharing and inspiring others. Love your button storage! Cute repurposing! New follower and new FB friend! My favorite tip? Put things away when you're done with them. No sense in needing to clean before you start the next time! 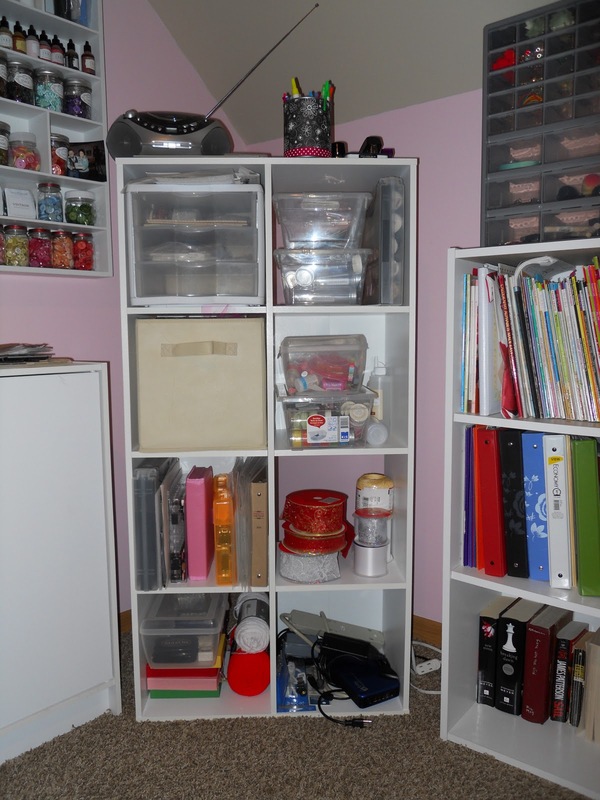 I do not have a craft room or even area for that matter so I can't keep my stuff all neat like you. I do keep my ribbons in clear plastic shoe boxes from The Container Store so I can see them. 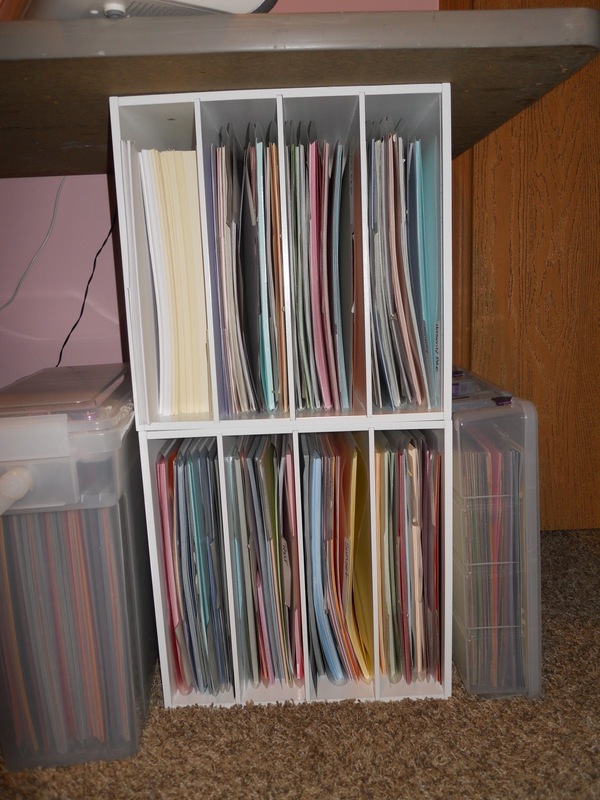 They are organized by color and I also have special Christmas and Fall ribbon boxes. Thinking of doing the same for my flowers because they are all hanging on my Clip it up now and I need to make space for other embellishments. oops, I forgot to leave my tip 🙂 My tip is to be sure you try to keep cleaning up after yourself while creating or else you (really I) get overwhelmed and just want to walk away! LOL Have a great weekend! Great room, love the colors!! 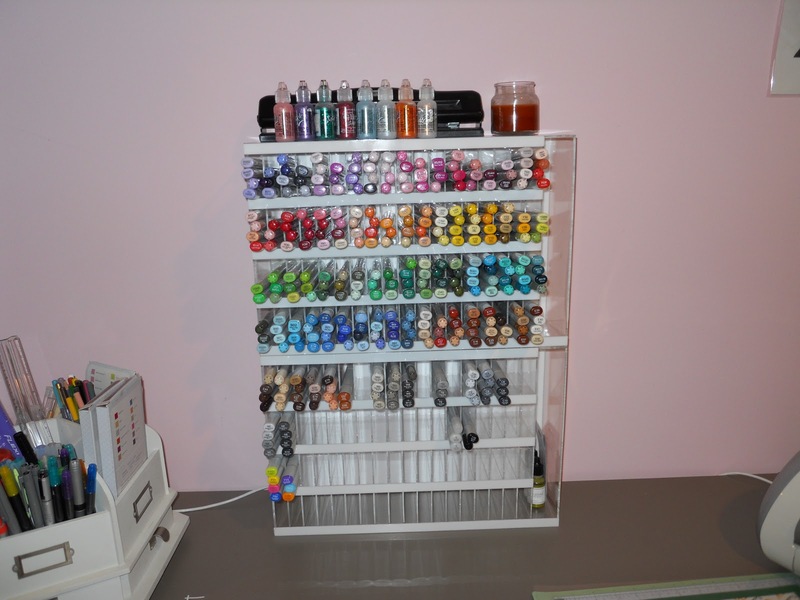 And most of all sooooo organized unlink mine LOL, looks great! 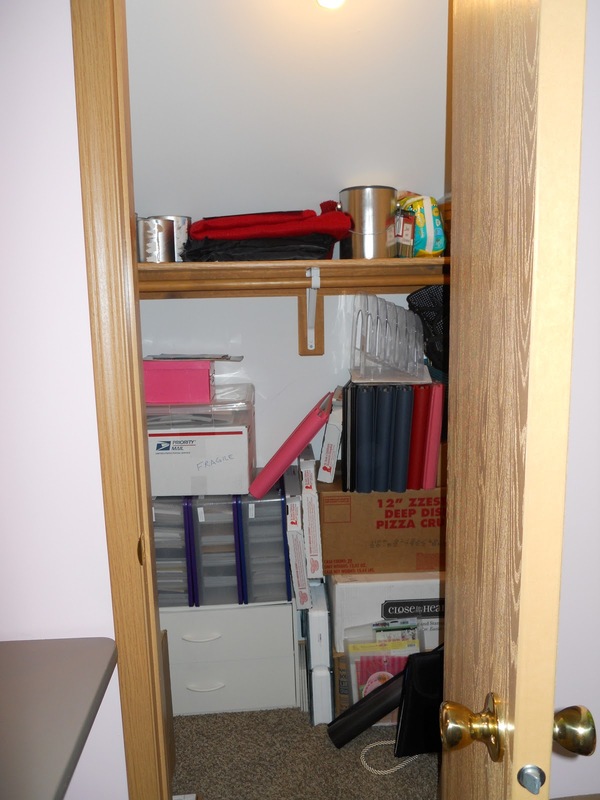 Great space, like how you store punches, I need to think of a way to store mine! 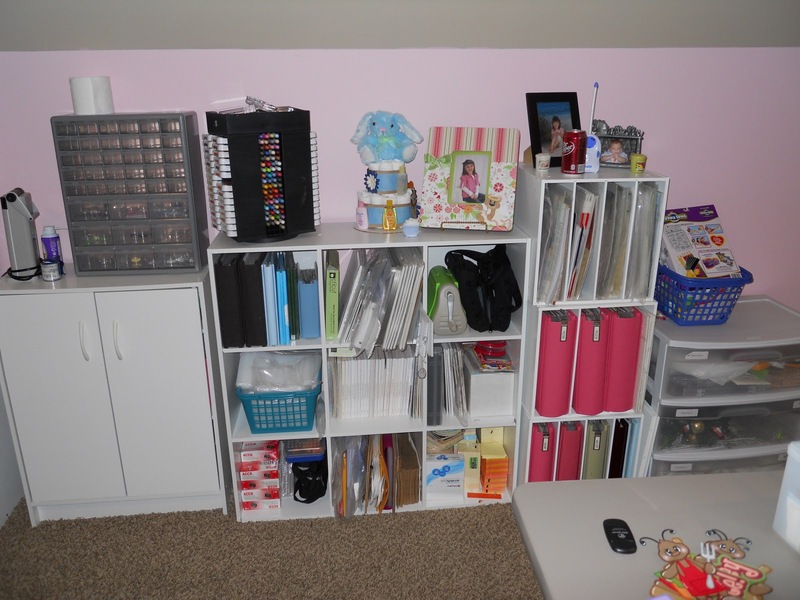 Great space, very organized. Love the over the door shoe for storage. I'm a follower now and love your scrap room. 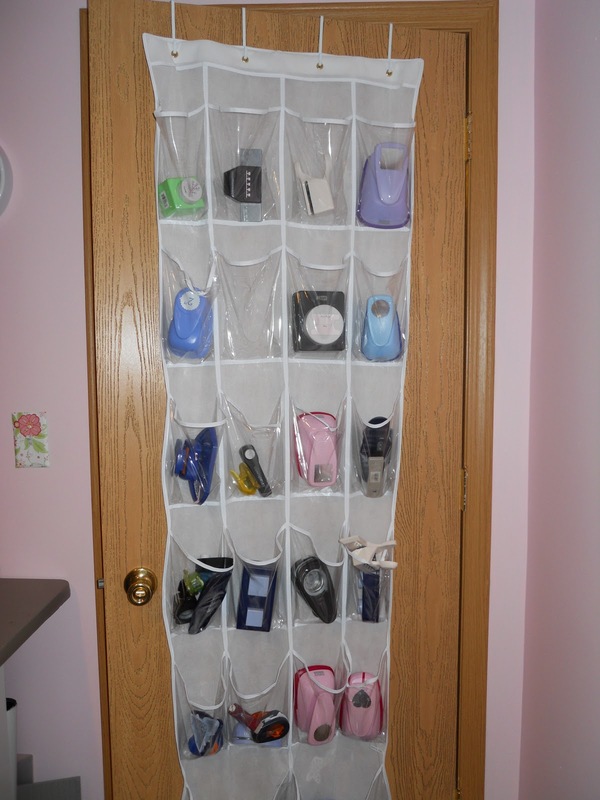 The over the door shoe hanger for punches is an awesome idea but I have bucket doors in my craft room so it wouldn't work but I like it a lot and maybe our new home with have normal doors so I can do that. I've also friended your fb page too. TFS Jearise in Lorby's World. 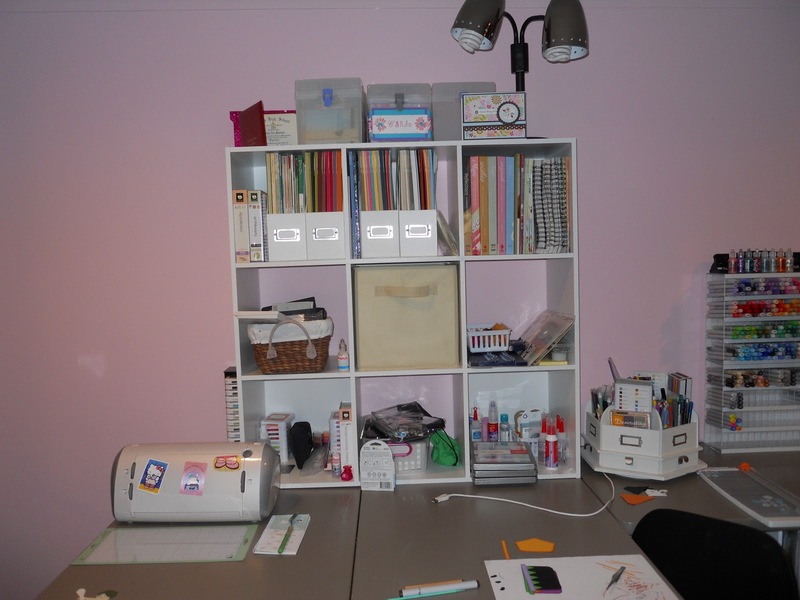 LOVELY craft room!! I especially like the over-the-door hanger storage for your punches. I save my embellishments by type in small envelopes, in a bin… seems to work for me! Thank you for the opportunity to win a GC from my favorite scrapping store, Michael's! What a beautiful crafty space!! 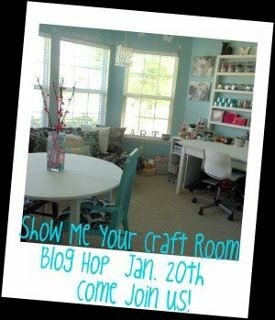 You're right…this is an awesome blog hop! 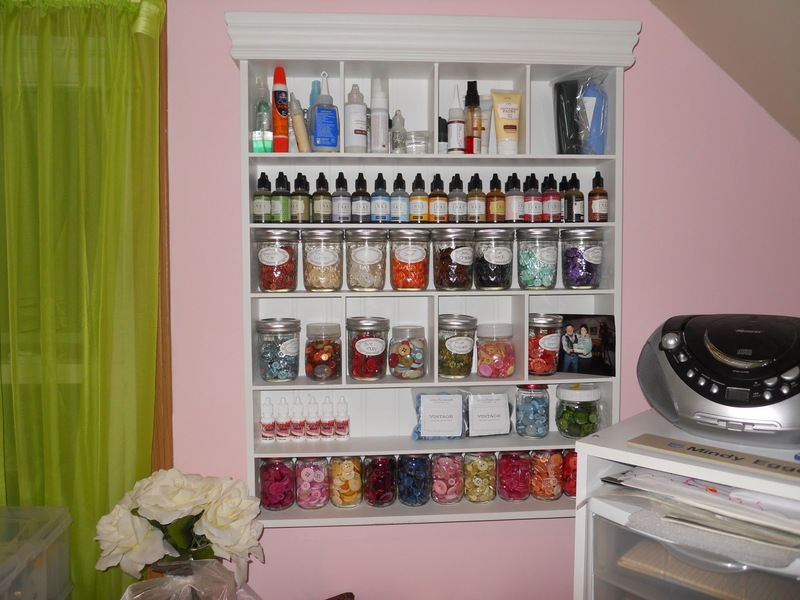 I love looking at people's craftrooms!! I do the same thing you do with baby food jars! I have buttons, brads and all sorts of other embelishments in them. I got a 97 cent can of silver spray paint at Wal Mart, and painted the lids. Now they look almost exactly like the storage jars that Michaels carries! I'm a new follower and can't wait to go peek around a little more! 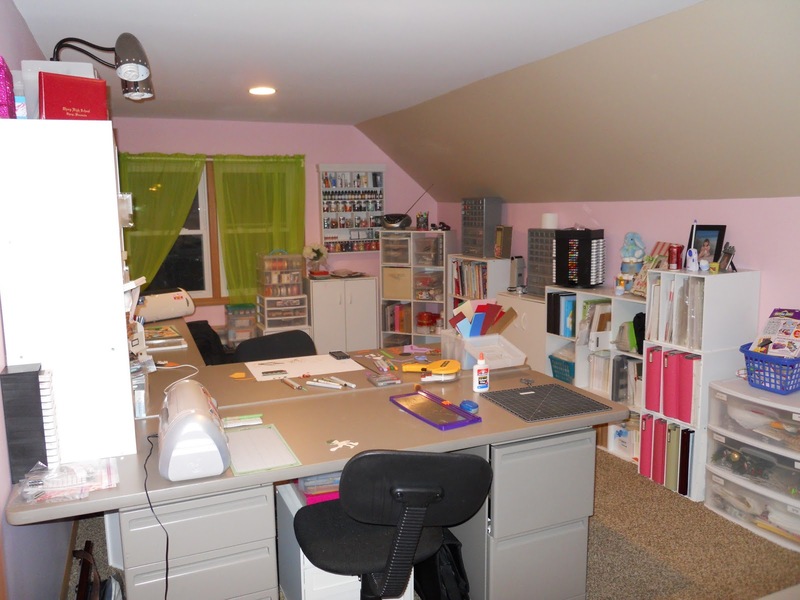 I love the craft room. Thanks for the ideas, i love it. You make adorable die-cuts. Thanks for sharing. I am now a follower on your blog and FB. love being in the HOP with you!!! Great room. I love the baby food jar button storage. What a great room. Thank you so much for allowing us to invade your space. Be blessed. 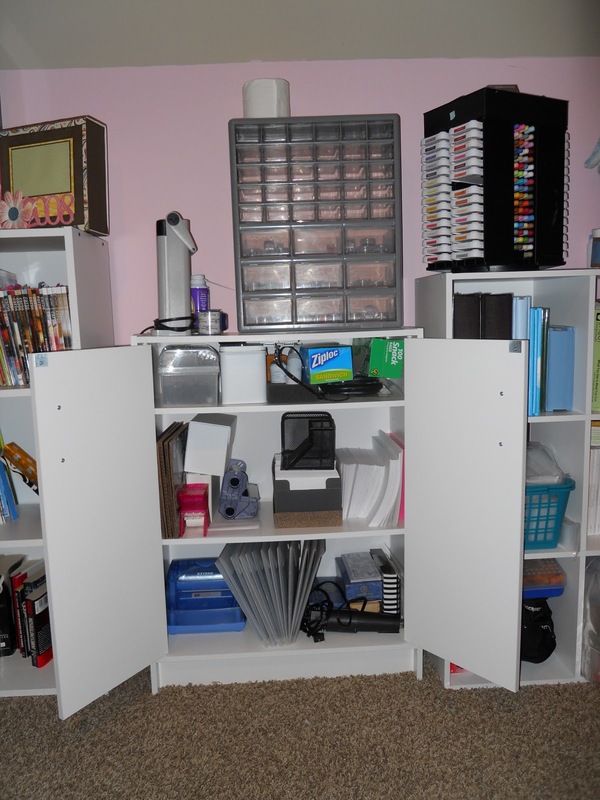 Thank you for showing an inexpensive way to keep a neat and orderly craft room. I love things like using baby food jars for your buttons instead of buying fancy containers and expensive storage systems. Your room is one of the most achievable I have seen on this hop so far!